Fall has arrived, hopefully the hurricane has left you unscathed. As specialists in security – whether for your business or an event, we know how important community is. Being part of the community, taking part in the actives, strengthens the community. 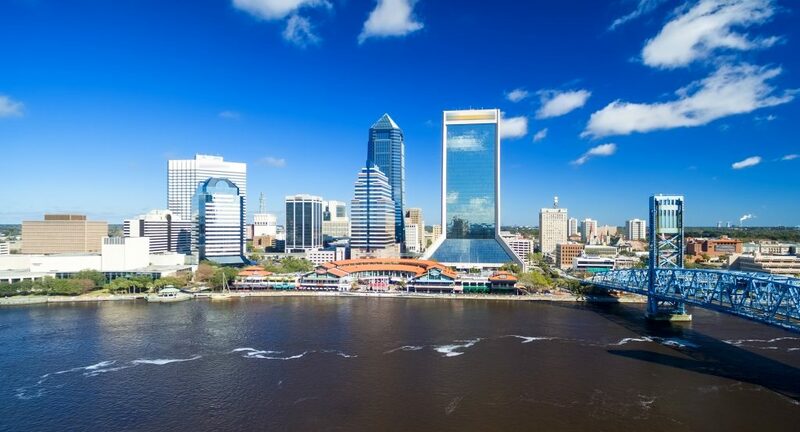 Get out and take part in all that Jacksonville has to offer this month. Fall in Jacksonville is a wonderful time to get out and enjoy all kinds of family friendly festivals. From art walks to QuiltFest, and of course, Octoberfest, there’s something for everyone to enjoy this fall in Jacksonville. We’re grillin’ & chillin’ at The Jacksonville Landing! Get ready for an amazing day filled with delicious BBQ, vendors, yard games, kids fun zone, and live entertainment! Bring your lawn chairs, sit back, relax and listen to some great music on two stages. The festival is FREE and open to the public. First 50 receive a free swag bag. Celebrate Hispanic Heritage in Hemming Park with an evening of music, dance, food and fun. Kim Reteguiz and the Black Cat Bones and dozens of other performers will help us throw the hottest dance party of the summer. Mark your calendars now – more information coming soon! Meanwhile, email events@hemmingpark for information about vending or performing. Daily tickets are $10.00 and will be available day of at the Prime Osborn Convention Center. Children 10 and under are free. Tickets available at the Tom Bush Family of Dealerships Box Office located at the Prime F. Osborn III Convention Center on the days of the event. Always a great time….come see what’s going on at Artwalk! Dragon boating is a great alternative to the usual corporate outing. Few things can rival the power of team sports in uniting people to achieve a common goal. Dragon boating promotes teamwork and camaraderie in and out of the boat. Encourage your employer to sponsor a team or schedule a team-building session. All things home can be found at the 2018 Jacksonville Fall Home and Patio Show. Get inspired and get crafty this year at the show. This year’s show features a hurricane resource center. Produced by Downtown Vision, Inc. and held each month from 5 p.m. to 9 p.m.—rain or shine—the monthly First Wednesday Art Walk spans more than 15 blocks that includes more than 40 galleries, museums, cultural venues, restaurants, bars and businesses, plus dozens of artists in Hemming Park, street performers and live music. The Old Spanish Trail is Jacksonville’s largest outdoor haunted attraction. Nestled in the dense woods behind a legitimately haunted, nearly 200 year old historical property, and backed by a family and crew with a love for scaring, this haunt has an energy like no other. Trek through the frightening forest and the many terrifying scenes built throughout, filled with actors at every turn. If you are looking for an adrenaline rush of fear this Halloween season, then The Old Spanish Trail is the place for you. You don’t have to be German to celebrate Oktoberfest, you just need to love having a good time! Client Focused Media and BUZZ Media will host the 2018 Oktoberfest Jacksonville at the Anheuser-Busch Brewery on Friday, October 12 (5:30pm-11:30pm) through Saturday, October 13 (11:30am-11:30pm). What began as a wedding celebration for Prince Ludwig and Princess Theresa of Bavaria in 1810 has become a worldwide celebration of German food, fun and, of course, beer! This annual two-day festival brings an experience filled with German cuisine, traditional festival fare and a variety of beers to quench your thirst. From the moment of the ceremonial keg-tapping to night-long cheers of Ein Prosit, you will feel as if you’ve been transported to one of Munich’s biergartens, all without having to get a passport first.